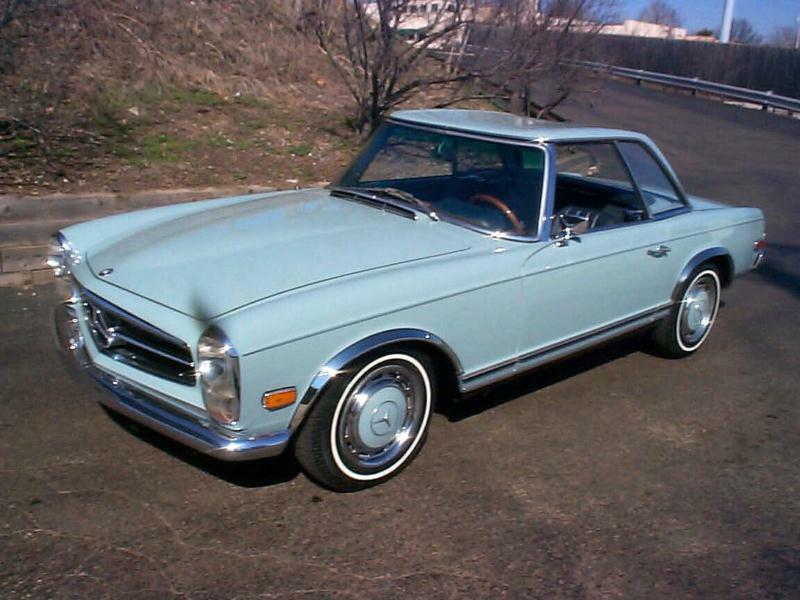 The continuation of Mercedes-Benz’s SL line, the 250SL picked up in 1967 where the 230SL left off. 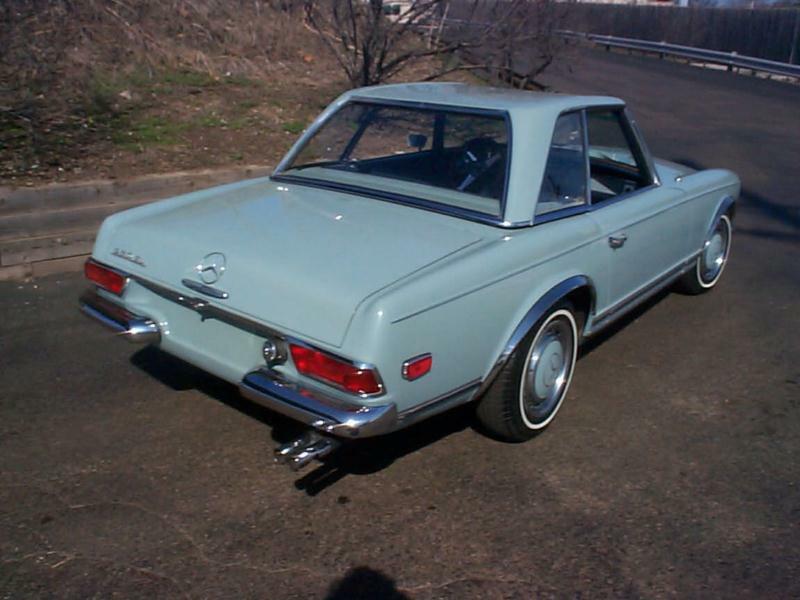 The car’s exterior styling continued the 230SL’s use of clean, elegant lines, intelligent placement of the wheels in proportion to the rest of the design, and a tall, "pagoda" removable hard top that allowed for ease of ingress and egress. The 250 utilized a monocoque chassis, with front suspension courtesy of coils and wishbones, while the rear incorporated a single-pivot swing axle and transverse springs set up to compensate for camber. 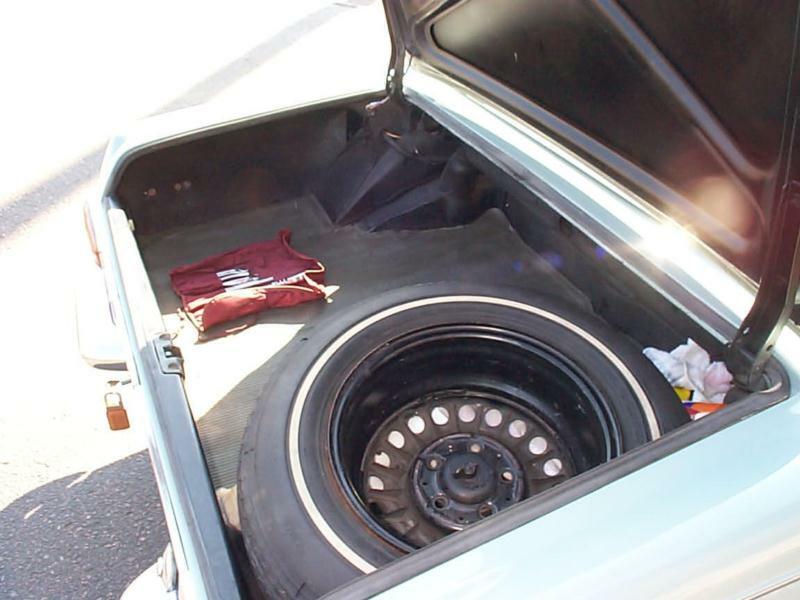 Four-wheel discs provided braking power. The engine was a 2.5-liter, overhead-cam, inline-6. Bosch fuel injection was incorporated as well, and horsepower on the sport tourer was rated at 148. Though engine output was nominally the same, the powerband increased and torque improved. A 4-speed manual transmission was standard, though a new 4-speed automatic transmission was optional, as was a ZF 5-speed manual. 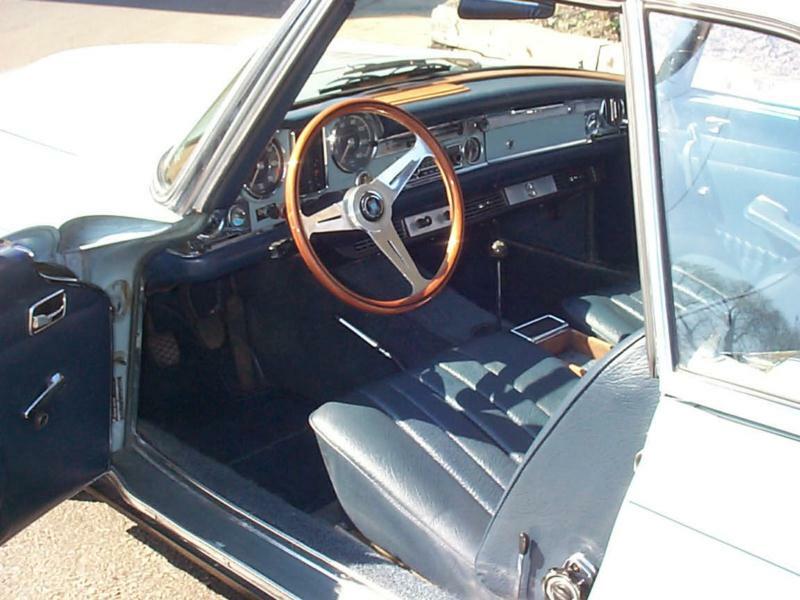 Cabin refinement was high, with acres of leather, plush, supportive seats, big, readable gauges, Blaupunkt radios, and a quality of craftsmanship throughout, including the soft top, which disappeared easily and unobtrusively when not in use. Even though the car offered comfort, it could also perform as well. Top speed was rated at about 125, and handling was described as neutral, with light, balanced steering, even at the limit. 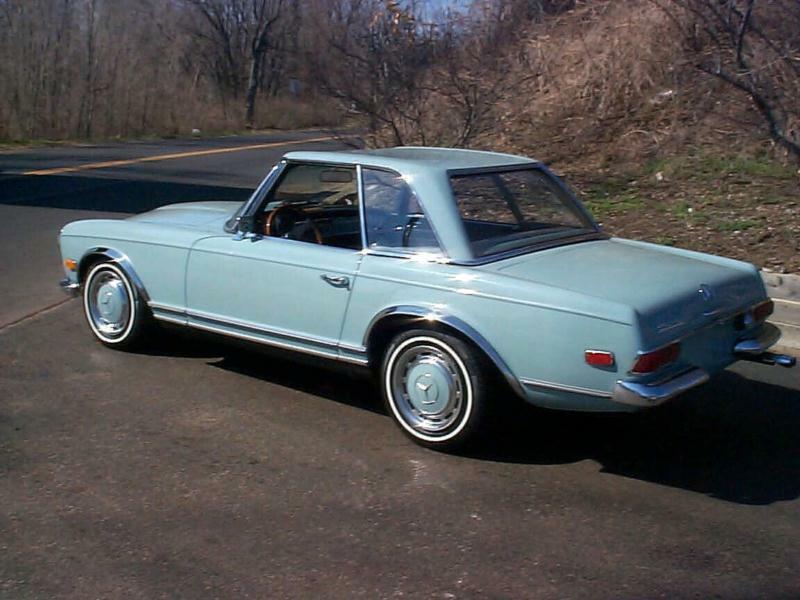 A one-year-only model, 5,200 250SL were produced before the 280SL was introduced. 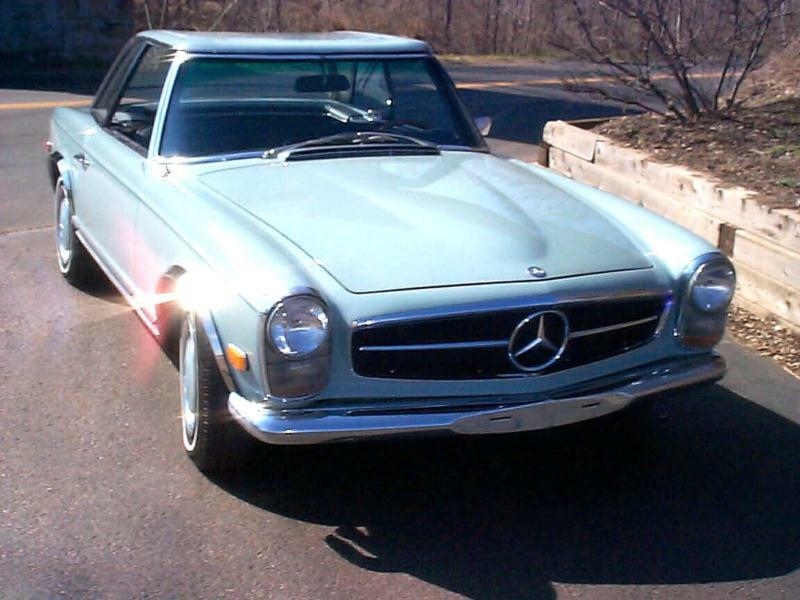 The car offers the same timeless elegance and well-regarded reputation as its SL siblings of the era.